If you’ve been wondering how to clean the oven or stove top in your house, this guide’s for you. There’s nothing better than relaxing in your home - right after you’ve deep-cleaned it. Getting to that point, however, is another story. When you’re scrubbing grout, cleaning windows, and eradicating dust-bunnies – don’t miss the important step of cleaning your oven – and other household appliances. 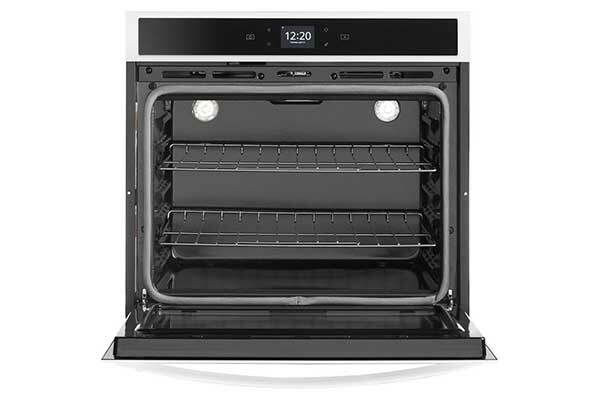 Read on for tips on how to clean an electric oven, gas oven, or dual-fuel option’s – interior, stove top, oven racks, and more. Cleaning inside your oven is neither a fun nor glamorous task – but at least you have a few basic options for how to go about it. The one you select will depend on the current cleanliness of your oven, the features available for your model – and on personal preference. If your oven is fairly dirty, consider the self-clean option (which, in many models, locks your oven and heats it to burn off particulates). This process typically involves removing any large food particles, pans, and oven components (such as racks) from the oven itself – before closing the oven – and initiating the cycle. 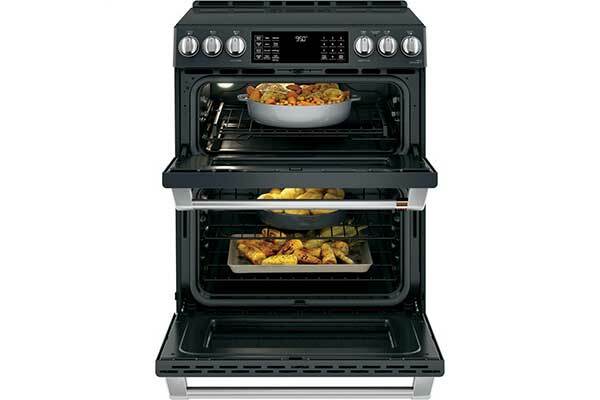 Your oven manual will contain the most specific instructions on how to clean a self-cleaning oven of your model type. Afterward, be sure to wait until your oven has completely cooled – as with all oven cleaning suggestions - before removing any ashes/debris that may remain. Newer technology is also available. Some new styles, for example, have a self-clean low temp feature. Other ovens offer a built-in steam clean option. If you do not have a self-cleaning oven, you can pick up oven cleaner at the store (do not use this if you do have a self-cleaning oven). It’s designed to cut through cooked-on grime, and can make for a (relatively) quick and easy oven cleaning. Instructions vary slightly by brand – so be sure to read all directions carefully. Now, what if fumes and chemicals have you concerned? DIY solutions are available! If you choose to give them a try, one such option is vinegar, water, and baking soda. For this homemade oven cleaning route, just make a paste of water and baking soda to coat the inside of you oven (carefully avoiding heating elements – and removing oven racks to wash separately) – and let the paste sit overnight. Next, spray with vinegar and wipe/scrub the surface after it foams. Lastly, wipe down with a clean, damp cloth. When it comes to cleaning oven racks – after you’ve removed them, if they are not dishwasher safe – wash in the sink with hot, soapy water, rinse, and dry well. For tougher cases – soak before cleaning. Again, consult your manual in case these general suggestions are not suited to your specific model. For those gourmands considering getting a new oven altogether, check out our blog on whether you need a double oven. Simply lift burners/grates or detach coils (if applicable) and then spray down the stove top area with soap and warm water before scrubbing and “rinsing” with a damp cloth. (Side note: If safe, wipe up spills before they’ve had a chance to bake on). If your stove top does have grates or coils, be sure after removing them, to clean separately – as directed by your manual. 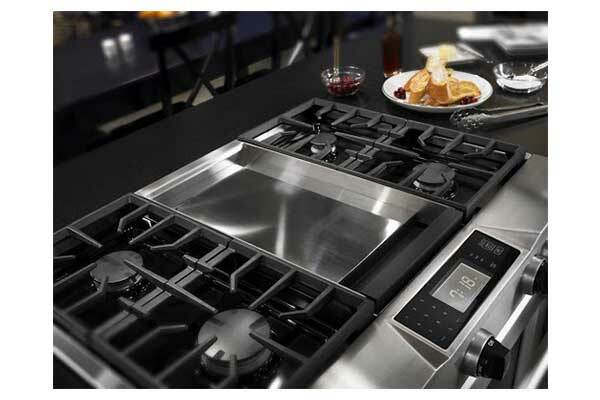 If you get tired of cleaning grates and burners on a gas range top, you may want to consider going with an induction cooktop. Electric induction cooktops actually cook with the power of gas but are so much easier to keep clean, usually just with a damp sponge or light cooktop cleaner. Now that you’ve polished off our oven cleaning guide, it’s time to get scrubbing! If you have questions about the tips above, or are in the market for new, easy-clean appliance options, remember that we’re here and happy to help. Stop in and consult our friendly, expert staff to find the perfect possibilities for your budget and lifestyle. Still in cleaning mode? Check out 6 Places in Your Kitchen you Never Clean (but Should). Then, keep your (now clean) kitchen tidy during cooking with these oven, microwave, and stove top cleaning tips and tricks from Reader’s Digest. Thanks for reading!